Glominerals is a uniquely formulated mineral makeup collection created with pharmaceutical-grade ingredients, triple-milled high-pigment minerals, and an advanced antioxidant complex of Vitamins C, A, K, E and green tea extract. The talc-free formulations provide a broad-spectrum of UV protection to help defend against free radical damage, leaving you with a radiant, beautiful, healthy complexion. Here are my favorites from the line. 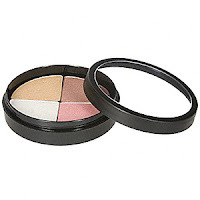 Start with a fresh face and apply the glominerals camoulfage. This concealing formula is ideal for covering scars, blemishes and dark circles while evening skin tones with hyperpigmentation and skin conditions. 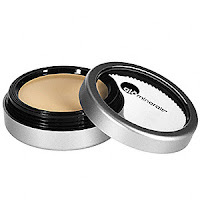 This concealer is healing and soothing as it nourishes and protects your skin leaving it healthier and more radiant. This formula is available in four different shades. 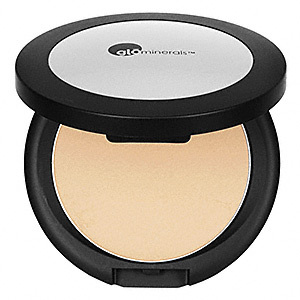 The glominerals pressed base provides a flawless coverage with long-lasting mineral coverage. This popular product contains protective properties from harmful UV rays and prevents premature signs of aging. The formula goes on quickly and easily providing you with an ideal coverage that is going to cover blemishes, uneven skin tone and hyperpigmentation. With 22 foundation shades, your sure to find one that works for you. Perfect for all skin types and packed with antioxidant-rich green tea, blended with vitamins A, C and E to nourish and condition the skin. 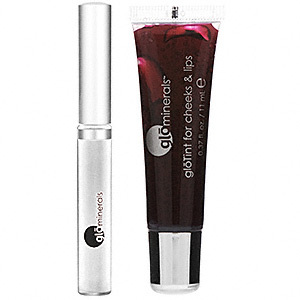 This rosy tint and clear lip gloss duo is designed to add natural-looking color to the lips and cheeks while also offering the lips a rich dose of shiny moisture.